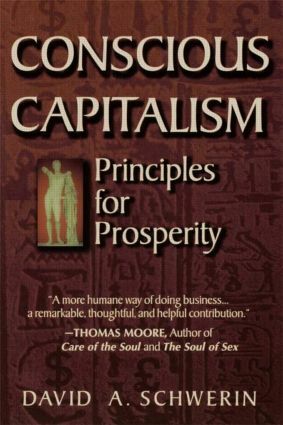 Conscious Capitalism shows how the principles of ancient wisdon are directly relevant to modern day business. Drawing on thirty years of financial and executive experience, Schwerin addresses contemporary issues faced regularly by people worldwide. Personal experiences, corporate field trip, and interviews with top executives bring both the anguish and the triumph of our business world to life. Conscious Capitalism's most significant contribution is its practical integration of formerly enshrouded principles with todays's frenetic world of investing and commerce.